If we think about the workplace as a living organism, sustained by profit and constantly growing, the overall health would be the work environment. A healthy, or positive work environment is key to maintaining a successful business, one free of internal strife and the weights of negativity. The ideal environment for your business to thrive can be attained by implementing these practices with your employees. Recognize the efforts of your employees. The same care and attention we give to our bodies can be applied to the workplace, after all a healthy body is a healthy mind. If each department is a system, then each must be equally cared for and looked after. You want to let your employees know that they are appreciated, that each member of the team is important to the business’s success. Providing rewards and recognition for exemplary work helps employees feel good about themselves, and the work they do. The rewards do not have to elaborate, simply ordering pizza for your workers, or throwing a mid-day event to say thanks goes a long way.The last thing you want is your employees dreading the sound of their alarm clock every morning, so give them a reason to look forward to coming in. Exercise gives our bodies the chance to grow stronger and allows the mind to better navigate the stress in life. However, if you never get off the couch, the body never gets a chance to live up to its full potential. This same line of thought can be applied to your employees. Challenge employees to come up with solutions to existing problems. Encouraging workers to voice their ideas about the business or its practices ensures a feeling of involvement among employees. Never stifle any interest in the company, because your employee’s great idea might end up in the hands of a new boss. Fostering open dialogue not only gives your employees an outlet, but also creates an opportunity for you to communicate your thoughts, which brings us to the last topic. Check in regularly with your employees. Our bodies have been programmed to give off signs relative to its state, we feel sluggish when sick, and full of energy after a great night of sleep. Similarly, your employees’ state of mind will show in their work, excellent when happy and sub- par when they are not. Begin instilling a climate of communication by holding weekly meetings, nothing too structured, but just enough to allow your employees to voice their concerns. This is a win-win situation – your employees will feel comfortable talking to you, and this would be an opportunity for you to get your expectations across your team. A business constantly in-touch with their employees’ ideas, concerns, and achievements will most certainly leave a positive impression on the current team and prospective hires. As a business owner, it can be quite frustrating if those in your employ don’t share your enthusiasm for the shared goals you’ve set out for your company. When most employees are feeling uninspired and unmotivated about the work they do, the company’s ROI suffers drastically. You don’t want that. There’s one good way to remedy this: start investing more in your employees. How to go about it? You can boost their morale, for starters. And what better way to boost employee morale than to launch a comprehensive and generous incentive program in the company? It’s a worthy investment that, if implemented properly, guarantees considerable rewards. To bring home the point, according to a study conducted by Marketing Innovators, companies with high employee morale outperform industry peers by 20-percent. We here at EB call center know this all too well. Convinced? Excellent! “But how exactly does an incentive program boost morale?” you might be asking. It’s also true and the numbers show it. According to a University of Warwick study, happiness in the workplace result to a 12% spike in productivity. When you reward your agents for a job well done, they feel that they are appreciated and recognized. They feel a strong sense of value in what they do, thus motivating them to deliver better. A hope for a reward is always a powerful motivator for sales agents to perform better in all aspects of the business. At best, monetary incentives serve as extrinsic motivators because they satisfy direct needs. But business owners also need to provide employees non-monetary incentives such as verbal and written of good work, etc. in order to satisfy an employee’s self-actualization needs. When you motivate employees on many levels, they tend to work harder both in the short and the long term. Cash rewards and attractive benefits are well and good, but deep down, most employees also want to feel like what they’re doing in the workplace is giving them a sense of purpose. That may sound like sentimental drivel but that doesn’t make it untrue. By offering employees a wide variety of rewards specifically tailored to motivate behaviors that address the company’s top priorities, they are made to feel that they’re offering something of value. Sales reps are usually rewarded when they close sales, which is always good, but another terrific way to boost their morale is to also reward them during their journey towards the sale. By incentivizing key performance indicators, you are encouraging best practices among the entire team, ensuring that the company delivers in areas beyond sales numbers. Team-focused incentive plans reinforce camaraderie, a robust feedback loop among colleagues, and team collaboration. By defining clearly the team’s specific goals and making sure that all members are on the same page, the work environment becomes more pleasant and professional relationships are strengthened. As established, implementing a comprehensive incentive plan can go a long way into boosting the morale of your sales representatives. It works two ways: first, being offered reasonable yet challenging rewards gives sales reps control over their success. Second, it gives them opportunities for self-actualization, prompting them to do better because of their innate desire to fulfill their potential. We at EB Call Center take great pride in our competitive incentive programs, which were developed to ensure that our sales reps are rewarded regularly through their efforts. Why is creativity an important characteristic of great call center agents? First of all, they talk to your customers all the time. They know their pains and joys. They know what your customers dislike or are interested about. At the same time, they have the power to shape your customer’s experience with your business. With creativity, your call center agents can step outside of the box and can think of novels ways to consistently wow your customers and increase productivity. However, there are little things that happen in the workplace that is not conducive for creative thinking. Here are 4 office practices that can surely kill your call center agents’ creativity. Your call center agents value the things that you value. They are concerned of the same things that you are concerned of. So if you don’t make creativity a big deal, they are less likely to be motivated to be creative at work too. They are not challenged or urged to find ways in taking the extra mile. The result? They spend their hours at work going through the motions, coasting along and giving only the bare minimum. Another creativity-killer is the absence of acknowledgement. When they do or give creative ideas but are not acknowledged, they are discouraged to do the same thing ever again. It gives the impression that no one notices their contribution and that it is not valued, giving them no incentives whatsoever to go on challenging themselves to do outside-the-box thinking. A toxic workplace environment is another creativity-buster. For instance, something is wrong when people who put forward suggestions that can be helpful for the business are called troublemakers instead or accused of calling attention to themselves. When the rest of the team see what happens to their colleagues who tried to push boundaries, they are going to learn from the experience, keep their thoughts to themselves, and may even develop negative attitude of outrightly dismissing creative ideas. Lastly, one of the biggest culprits that’s killing creativity at work is micro-management. Micro-management happens when you give call center agents little to no room to freely come up with their own ideas and execute them, and when you expect them to do their tasks strictly according to instructions. It makes your employees feel that they are robots, expected to do the things they’re told to do and not much else. That’s the thing about creativity. You need to give it breathing space. It thrives on providing people freedom. There’s risk of them running with it, but you will benefit greatly when their ideas click. As a business-owner, encourage your call center agents to be creative. Make a big deal about it by including it as part of your core values, giving people incentives to solve work-related problems in new ways, and providing them enough legroom to freely think of creative ideas. There is a famous Pareto principle that says that 80% of your productivity is being done by the top 20% of your people. That’s why it is important to keep your top outbound sales agents as they bring in the bulk of the business to your company. When they leave your company, it is going to cost you in terms of time and resources to hire new employees and train them to become your next top agents. Hence, you need to know the reasons why they call it quits so you can do something to prevent that from happening. Here are the top 6 reasons your outbound sales agents leave. Doing outbound calls is challenging enough. Meeting sales quota, now that adds up to a really tough job. That is why if the pay that they receive is low, they wouldn’t think twice calling it quits. A good tip is to look at how much your competitors are paying. You may also look at national averages in wages, and then either match the salary or pay more. But the secret really is to give consistent incentives for a job well done. These can be in kind, such as all-expense-paid trips, or monetary like bonuses and commissions. They will also flee when they’re under bad management. For one thing, it makes each day at work an unbearable ordeal when they have to deal with unfeeling supervisors, micro-managing taskmasters, and bad leaders. To make your outbound sales agents to stay longer, help them feel valued by hiring good managers with great people skills and leadership. Another factor that your outbound sales agents look for another opportunity is the workplace environment. For example, instead of being excited, they dread going to work because they little to no valuable support to make them become successful. Additionally, they are in an unhealthy competition with their colleagues. There is nothing that breaks the monotony and repetition of outbound calls. Most often, they feel isolated and are left to drown in the job. One other factor is burn-out. For instance, your call center agents are simply under immense amount of pressure day in and day out to meet unrealistic performance goals. Also, they might find few chances to reset from work because of a really high occupancy rate. They are asked to take outbound calls one after another in rapid succession without ever letting up. They might also feel they no longer have work-life balance, losing touch with things and people that mean a lot to them because they have to work really hard and spend long hours in the office. The job itself can be the reason your outbound sales agents quit. It might either be too high or too low a challenge for them. Furthermore, they might even realize that their skills are a wrong match to the job. They plainly don’t have the right set of competency to succeed. Alternatively, they could have simply discovered a new passion and they choose to pursue that instead of staying with your company. Lastly, they leave because they found a better career opportunity somewhere else. Your company is not growing and there are no higher positions available for them. On the other hand, they might not be inspired to get promoted within the organization because they don’t like their supervisor’s job or the perks that come with it. They don’t see themselves performing the tasks that their supervisors are doing. Stop your best people from resigning. Evaluate your remuneration package, hiring process, leadership and organizational culture, working condition, and career opportunities within your company so you can save your top outbound sales agents from leaving. In running a call center, your customer support team will be required to pass several key performance indicators including average handling time. Average handling time (AHT) is the number of minutes it takes for a call to get resolved from start to finish. Usually, it is measured from the moment the agent hears a ring that signals the arrival of a caller to the end of the call. Having your customer support team meet or exceed AHT target is essential in maintaining good performance in your call center as it ensures that there are enough people to answer incoming calls. Therefore, here are the top 5 tips in helping members of your customer support team with managing their AHT. The goal of training is to help new employees get up to speed in terms of reaching expectations on AHT. Without proper training, the newly hired agents will have a hard time in developing the right skills and will take a longer learning curve in managing their targets. So the first thing you can do is provide excellent learning opportunities in the use of tools, customer relations management (CRM) software, and systems. Through demonstration and actual exercises, they can learn how to be more efficient in navigating around desktop tools and applications. If you are running a big call center organization that is composed of different departments and there are transferred calls, you may want to build a transfer flow chart. A transfer flow chart quickly tells an agent whether the issue raised by the caller is within his or her scope of responsibility or will need to be transferred to another expert such as technical support. For one thing, it is a win-win solution. It ensures that issues are resolved by the right people. Also, it avoids having long-winding conversations that might upset the caller if they are told that all the time they spent was for nothing because they have to talk to someone else. Additionally, you can help your customer support team to develop active listening. Through active listening, your agents and the caller can maintain clear communication. This prevents any misunderstanding and helps in knowing the exact issue and providing the proper resolution immediately. Furthermore, you can also give tips on how to politely deal with runaway callers, people who are likely to start and continue talking off-topic which can lead to longer calls. For example, you can give sample spiels that can acknowledge what the caller is saying and then quickly turn the conversation back to the issue. You can also nurture a culture of collaboration and mentorship. This can be done by either asking the leader of the customer support team to continuously coach or requesting each member to partner with another member and share feedback. In the process, it helps make sure that best practices are freely shared around, helping everyone to manage their AHT successfully. After you have implemented the above action plans, the next thing you need to do is to regularly monitor and let people know of their performance. You can do this by putting up a stat board or sending email to all the members of the customer support team with individual and team AHT levels. By giving them the opportunity to be more efficient and to know about how well they’re doing, you can help your customer support team to reach AHT goals. Whether you’re running a product or a service-based business, living up to your customers’ expectations is a must if you want to succeed. What makes this tricky, however, is the fact that your customers aren’t just looking for a solution to their problems, they’re looking for quick solutions. They want their problems solved the soonest and would often ask to speak with a skilled agent who can do this for them. Of course, if your company can’t give them just that, then they won’t hesitate going to your competitors. This tells the business owners that for them to outdo their competitors, they need to provide exceptional customer service. How are you going to accomplish that, you might want to ask? Well, you can start by training your newly hired customer service reps to be more engaging and interactive. The following are several crucial ideas and tips on how you can help your customer representatives become more engaging, more confident and more effective! 1. Start with the basic induction and let them learn the Product. Induction is the first step that helps a new employee familiarize with the product and services that you are offering. Make sure you give your newly hired customer service reps a thorough insight of the products that you are offering. They should understand the product or service as their own. The first part of their training should revolve around products, services and solutions that they can offer. 2. Conduct scenario-based training sessions. While you train the new reps, throw multiple scenarios at them. This will help in two ways. One, your reps will understand the kind of queries they may face. Two, it will help them think of multiple ways to provide a solution to the customer. This is a good way to build a line of communication and boost their confidence. 3. Recognize their mistakes and acknowledge their effort. It is essential to tell your employees where they are going wrong. Guide them with patience and be professional when you criticism them. Another thing that you must do is to acknowledge the efforts that your employees are making. A small dose of encouragement can make your reps move mountains (not literally). It can certainly help them display more confidence while speaking with a customer. 4. Include quests and challenges in your program. Challenges evoke productivity and creativity. Therefore, make sure you add quests and challenges to your training program. Take them through online challenges or ask them to take an impromptu call with a customer. Such challenges can help your new hires learn quickly and perform better. 5. Assign mentors to new hires. You can hit two birds with one arrow if you practice this. Assigning a mentor to a group of new hires will not just help in their training but also encourage your existing employees to perform better so as to grab the position of a mentor. If your newly hired customer service rep is motivated to perform during the training session, they will be able to absorb the knowledge efficiently and excel while enrolled on-process. A well-trained and enthusiastic customer rep can help your business expand in ways you’d never imagine. Always devote enough time in training them with new materials and they’ll most likely perform better with how to address your customer’s concerns. Call center agents have a pretty tough job, let’s think about it. You’re stationed in a cubicle addressing multiple customer concerns for hours at a time. High attrition rates are quite common in the call center industry, which goes to show that it takes a lot of work on the part of a call center organization to retain its employees. If recent studies are anything to go by, it is in the best interests of call center companies to invest more of their resources into rewarding and recognizing their agents. In doing this, companies are able to show their employees that they are valuable to the company, which in turn motivates them to stay consistent or do even better than the expectations set for them. It’s not that simple, however, since it’s important to understand what motivates your workforce first. Additionally, performance targets need to be clearly defined to ensure that the rewards you offer are reinforcing positive behavior. Here are five reward and recognition ideas you can try in your office. Material incentives are effective in reinforcing positive behavior. After all, call center agents put in the hours to earn money. Giving them extra rewards makes them feel compensated for their hard work. Budget constraints can make it difficult for a company to give everyone a raise, but an incentive program can be put in place to ensure that the best performers are rewarded. It’s always advisable to provide cash rewards to the best employees, but you can also offer a variety of material rewards such as gift certificates, coupons, meals, coffee, and more! Rewarding call center agents with a company mug or a Starbucks gift card for doing well on a specific task makes them feel appreciated, but only up to a point. There will come a time when an employee only sees these rewards as nothing more than just token gifts. It’s always a good practice to reward employees with personalized items from time to time. You can purchase gifts related to an employee’s hobbies or interests, for instance, anything a friend would give. Doing this inspires loyalty in the employee because it makes him feel that the company appreciates and values him as an individual. One of the most challenging aspects of working in a call center is having to deal with shifting schedules. As such, many call center employees will welcome the opportunity to have some control of their work life. So, reward your best performers with perks like allowing them to bid for their most-preferred shift schedule, extra paid leaves, choosing accounts, and other work related incentives. Knowing that they are offered opportunities to get some reprieve from the stressful aspects of call center work gives employees a good reason to stick with the company. Offering rewards or incentives to representatives on account of a group performance motivates and inspires them to work better as a team. This also prompts members to engage each other in positive peer pressure, which in turn creates opportunities for peer-to-peer learning. Call center employees face stressful situations regularly, so don’t pass up the opportunity to give them a compliment when they deserve it. Remember, even a small gesture of appreciation, a congratulatory pat on the back or a smile of acknowledgement, can go a long way into making agents feel better about their day. For a reward system to be effective, you have to develop a credible system for collecting and interpreting performance metrics. Otherwise, inconsistent and faulty evaluation of employees may lead to bickering, which could in turn negatively impact company culture. 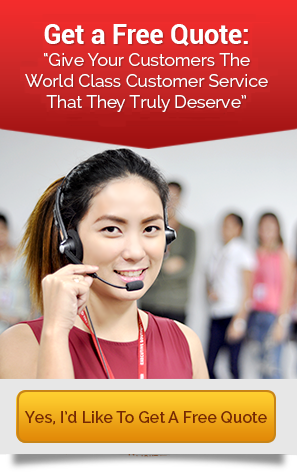 Here at EB Call Center, employees are our greatest asset. We take great pride in our competitive incentive package, which we developed to ensure that our employees are sufficiently rewarded for their hard work. Experiencing stress is part of the job when you’re working in a call center. This isn’t at all surprising given the fast-paced environment the nature of the work requires. When you’re cramped in a cubicle for 8-10 hours a day, the job has a way of taking its toll on you. While stress can’t be dealt with entirely in day-to-day operations, a company’s leaders and managers should foster a working environment that helps employees manage stress better. It’s been widely proven that a stressful work environment doesn’t only negatively impact a call center agent’s mental health and well-being, it can also hinder a company’s productivity. This is why every team leader should take on the responsibility of managing his or her team’s stress levels. Allow me to share with you several tried-and-tested tips on how you, as team leader, can manage your employees’ stress level with considerable success. As a team leader, you should always encourage your agents to express their thoughts openly without fear of consequences. You should value your agent’s opinion whether you agree with it or not. This not only makes them feel valued, it also fosters a sense of community and shared purpose. When an agent has done an exceptional job, make sure that you give him or her a word of praise. Do this and that employee will most likely be inspired to stay consistent or even do better. Rewarding agents with incentives and formal recognitions boost employee morale, making them feel that their contributions are integral to the team’s success. When agents are rewarded for their efforts, they are able to manage stress better. More importantly, the company will be able to retain its best employees. As a team leader, expressing empathy is a critical skill that you need to develop. When you show your team members that you acknowledge their feelings, they tend to trust you more. If they trust you, they are more likely to follow your lead. When you show an agent that you’re always willing to listen and are committed to helping them with their challenges, they become more receptive to your suggestions and advice. What’s more, agents who feel that their feelings and needs are acknowledged by their leaders are motivated to work harder and exceed your expectations. If you want your team to work effectively as a group, each agent should be made to feel that the team itself is a support system he can rely on when the tough gets going. By fostering trust, accountability, and good teamwork within a team, each agent will feel empowered working in a team environment. Just the thought that the team has his back is a major stress buster. As a team leader, you can organize team-building activities and conduct weekly catch-up sessions to ensure that the team shares a strong sense of purpose. 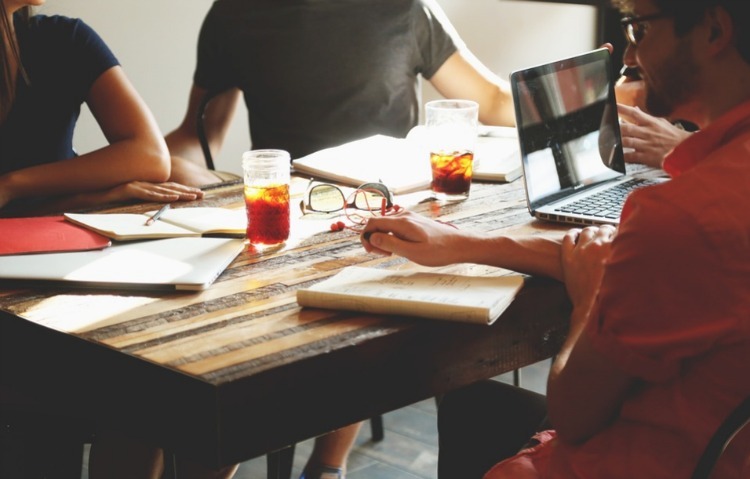 Setting up regular meetings with each member of your team allows you the opportunity to directly address stress-related issues that are hampering their performance. It’s important that each session should feel open and relaxed. Otherwise, you’ll just exacerbate the stress an agent might already be feeling. When the agent feels acknowledged and respected, you can get him to open up more.about issues that are having a negative impact on his performance. By employing the techniques above consistently, you’d be able to skyrocket your team’s productivity. Remember that happy employees are productive employees. It’s a cliche because it’s true. What are some of the best stress management tips that you can share as a team leader? If there’s anything that you’d like to share with our community, then please comment below. Cheers! Do you ever wonder how customer-oriented call centers continue to maintain excellence in providing quality service? Three words: Positive Work Culture. Merriam Webster defines culture as a shared set of values, beliefs, practices, and goals within an organization. Simply put, it is our shared identity — who we are whenever our bosses aren’t in the room, or how we respond whenever faced with forks in the road. Here are four good reasons why contact centers need to have a positive shared identity in the workplace. Creating a shared positive culture allows agents to align their heartbeats to that of the organization. Whenever these employees are placed in conflicting situations, these individuals can always make responses that benefit the agency despite the lack of clear-cut instructions on what exactly to do in the employee handbook. Because the company practices a lifestyle out of embracing organizational values and interests, these agents are able to exercise discretion that forwards company goals because of their awareness and constant application of such. Sharing a collective identity makes agents more concerned about the success of the entire organization and not just their personal interests. A study published in Harvard Business Review show customer satisfaction levels to be linked to employee motivation factors as determined by strong workplace cultures. The same article also revealed a connection between organizational drive and increased revenue production. Patty Vogan, a leadership columnist of Entrepreneur.com, believes that creating an atmosphere of positive culture in the workplace starts and ends with top management. Agents look towards company leaders when forming their ideas and beliefs of organizational culture before adopting and integrating these norms into their personal drives. Stronger company cultures result in more employee talents being retained. Departments of an insurance company that aligned its workplace environments to company culture were found to have 30% less turnover as compared to the other units. The lower churn rate would translate into lesser organizational expenses spent on hiring and more chemistry among your team’s agents. One reason why individuals immersed in company culture choose to stay is that of the feeling of being part of an extended family. An article from Catalyst.org shows that almost 50% of employees who shared organizational values feel a greater sense of inclusion at work. The type of identity we share inside our organization can be seen by potential employees and customers from the outside. Treating employees well and having a light and fun workplace environment may cause prospects to see and believe that your company’s brand is filled with laughter and generosity. One study shows that college students are willing to accept 7% less starting pay just to be in organizations that have cultures they appreciate. Another article in Forbes shows that millennials are willing to trade $7,600 worth of salary per year for better work environments. Even another publication showed that 70% of millennials would opt to spend more money on brands that support causes that these individuals care about. We believe that positive culture is essential to the developing excellence in the contact center workplace. It is because of these values and beliefs that we hold and practice that we are confident in providing outstanding customer service to our clients. How about you? Do you agree with the importance of positive work culture in the organization? And what values and practices do you uphold in your company?